In honor of International Coffee Day, here is a list of some of my favorite coffees throughout the world. Cafe Britt in Costa Rica: I may be biased because my name is in the title of the coffee shop :), but I became so much more appreciative of the intricacies of coffee production after touring Cafe Britt and tasting the coffee varieties last spring. I learned the importance of the amber color of coffee, which indicates freshness. 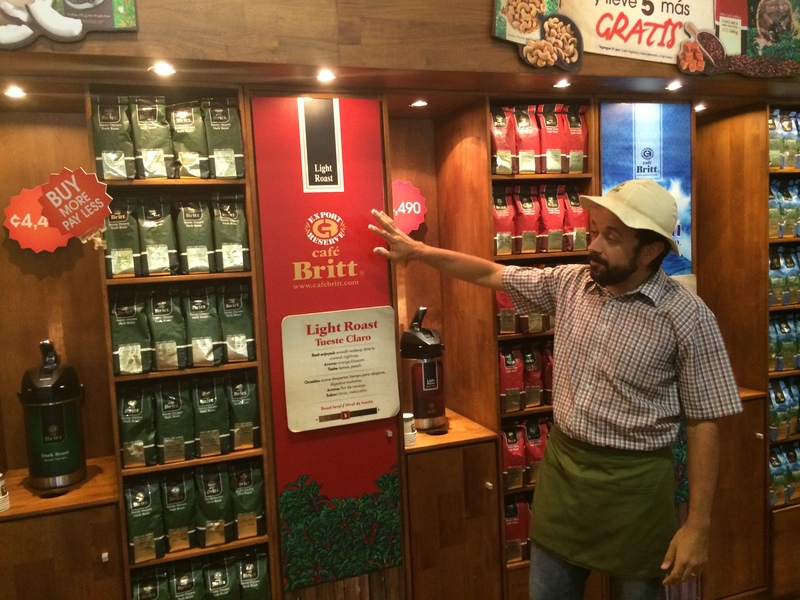 I recommend you experience the Cafe Britt coffee tour and try the Tarrazu and Tres Rios varieties, in addition to the organic and fair trade brands. Also, if you can prepare yourself for a new addiction, try the chocolate-covered coffee beans while there! Mountain Thunder Kona Coffee in the Big Island of Hawaii: Kona Coffee has a unique flavor (and in my opinion, stronger than others) that can’t be matched because of its production in volcanic terrain. I enjoyed learning about Mountain Thunder coffee production and also appreciated the teas available there. Whether you are a coffee or tea fan, I highly recommend sampling the organic varieties! Café au lait in France: I had some of the best coffee with the prettiest designs (made with milk) while touring the countryside of France. I’m not sure what was better, the coffee or the fresh pastries on the side? I don’t think I’ve found a better breakfast pair than a chocolate-filled croissant and café au lait. I was also fascinated by the coffee machines in France (mind you this was in 2011 and now we have more modern coffee appliances in the U.S.). One day I would love to learn how to make café au lait like the French. Café con leche from Chocolatería Valor in Salamanca, Spain: I first fell in love with coffee while studying abroad in Salamanca, Spain. I became accustomed to drinking café con leche (the Spanish version of café au lait) while relaxing, studying, or blogging during my afternoons in Spain. 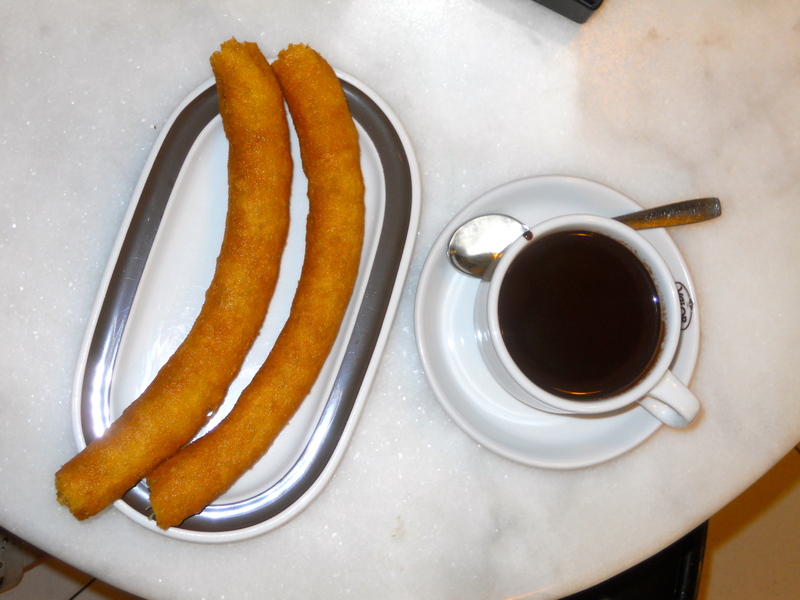 Similar to my perception of café au lait, part of the reason I love café con leche is that I often paired it with a churro con chocolate from Chocolatería Valor- iqué rico! I will always think of my wonderful experiences in Spain (more details to come in future blogs :)) when I drink café con leche. Mocha from Espresso Royale in Ann Arbor, Michigan: Every time I go back to visit my alma mater, I stop at Espresso Royale for a mocha, which makes me nostalgic of the cold winter days walking to class, meeting with student groups, and cuddling up to study with a mocha. Espresso Royale features several coffee blends, delicious pastries (I highly recommend the zucchini bread), and some of the best couches you could ask for (they are in high demand during finals season at the University of Michigan). As a business professional, my list of coffee favorites keeps growing, as I am eager to try new coffee specialties everywhere I travel! I especially appreciate local coffee shops because they often sell native coffee blends and give you a taste of the local culture by featuring local musicians and artists. For such a staple in daily life, I enjoy learning how each country has its own spin on coffee. What are your favorite places for coffee?